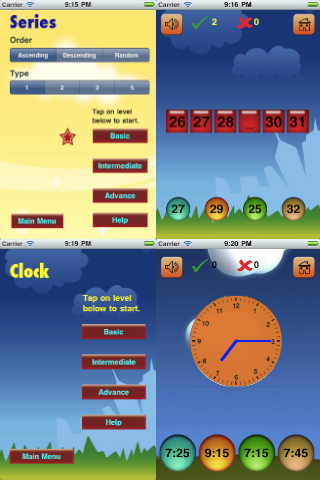 Kids Maths - 6 app in 1 - Counting, Basic Maths with Choices, Basic Maths with Calculation, Compare, Series and Clock. Its like 6 app for the price of one. Each functions comes with 3 different level and lots of settings. Children receives star/trophy for each level they master with different settings. This encourages kids to learn and apply their skills more often. It helps kids with getting more interested and engaged with their maths. 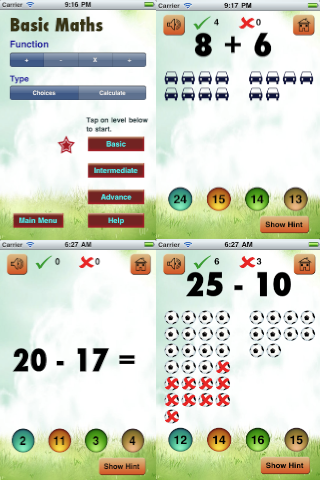 Basic Maths with Choices helps kids to learn basic maths functions (addition, subtraction and multiplication) by counting. 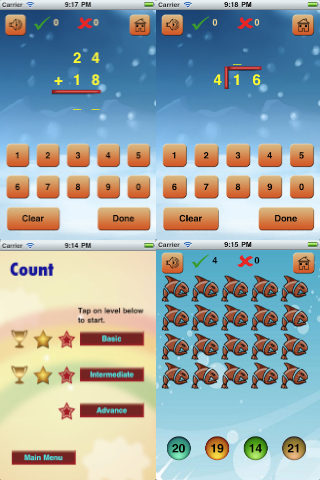 Kids have an option to use Hint button or select answer from multiple choices. Basic Maths with Calculation is for kids to answer maths questions through traditional calculation model. 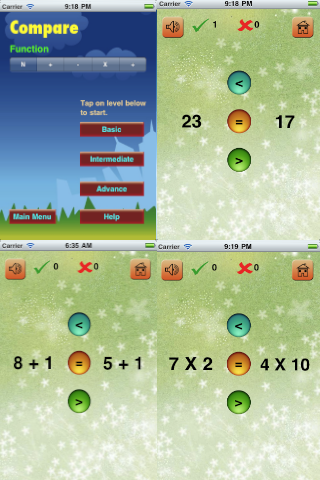 Compare feature helps kids compare 2 numbers or compare result of 2 maths operations. It helps kids with developing concept of equal, greater than or less than. Series feature helps kids to put number in series. It comes with 3 order mode - ascending series, descending series and random series. Kids have an option to select 1, 2, 3, or 5 series. Clock feature helps kids to learn time. It comes with different level helping kids slowing master the skills. Kids love to use iPhone/iPod and iPad. 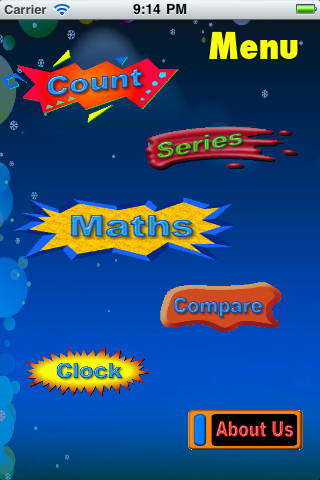 This app encourages children to practice their maths skills with fun animation and sounds. Fun way to develop maths skill.